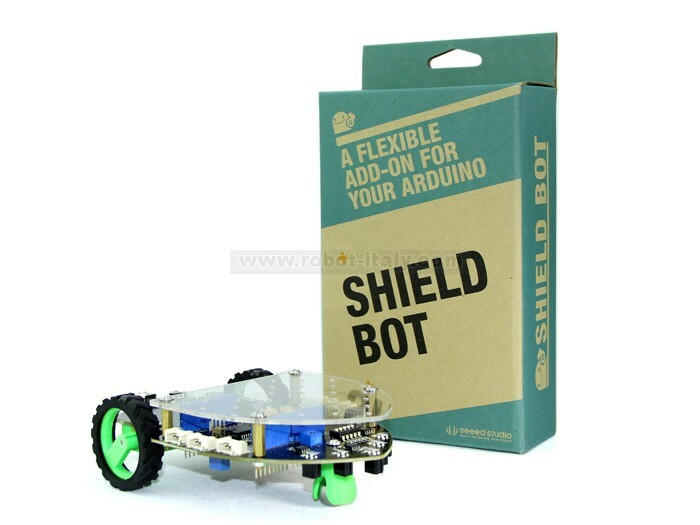 The Shield Bot is a stackable Arduino Shield that transforms your Arduino into a fully featured beginner robot. The Shield Bot has been designed and specially equipped with on board line following sensors and expansion ports to be the robotic buddy that will teach you about robotics, electronics, programming. It is also packed full of expansion ports so it can also be the perfect base for any desktop robotics project!